4 Beds 3 Baths 1 Partial Bath 3,024 Sq. 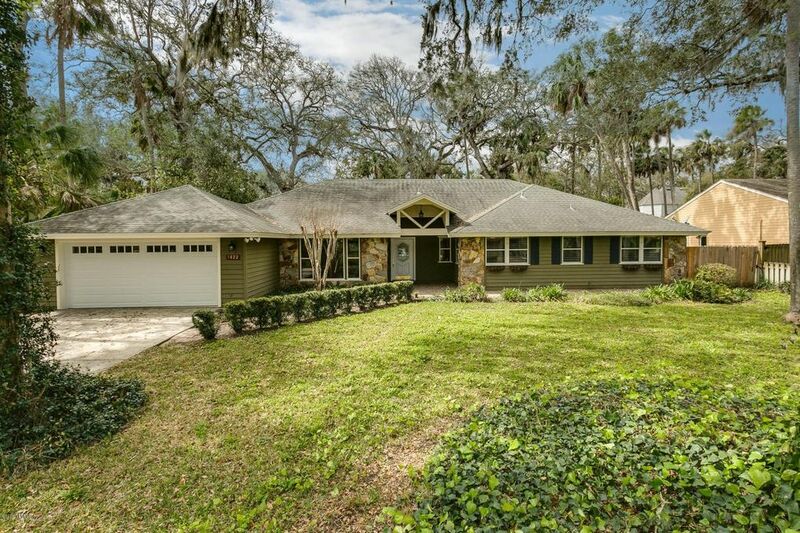 ft.
What a great home in a great neighborhood! Surrounded by majestic trees and loads of natural landscaping make this home stand out from all the new construction homes. No Cdd fees, no HOA fees, just enjoy this home located minutes from the beach! Loads of space with a huge living room, stone fireplace and tiled floors. The kitchen is a chef's dream, newer appliances, convection oven, hardwood floors, granite counter tops, center island with an additional sink. Have your coffee in the cozy yet oversized kitchen nook surronded by windows or venture out to the florida room and enjoy all that mother nature has to offer. On those really hot days you've got the luxury of dipping in the pool or riding your bike to the beach. What more could one ask for. Don't take my word for it, check out, our Virtual Tour. Directions: Atlantic Blvd N On Seminole Rd, R On Saturiba, R On Selva Grande.